On the 9th & 10th of July, University of Warwick, Coventry proved a great venue as more than 300 global experts gathered to discuss connected & autonomous vehicles & future mobility. We have seen the future of transportation - and it’s connected. To you, your smart home and artificial intelligence. This vision was unveiled to and by more than 300 of the world’s top engineers, designers and visionaries in Coventry on the 9th and 10th July. The inaugural Transportation-as-a-Service Technology conference excelled on many fronts, combining insightful presentations on key issues, thought provoking panel sessions, audience interaction, with great attendance figures and a packed exhibition hall. 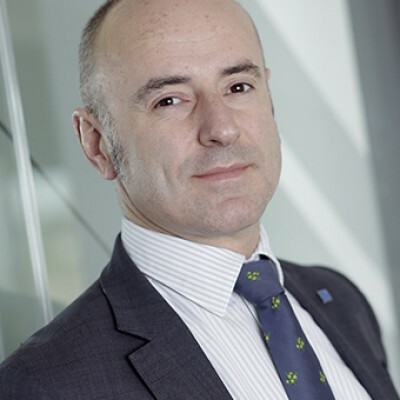 Andrew Parkes, Executive Director of Mobility and Transport at Coventry University and Conference Co-Chair opened the conference and detailed the great opportunities Connected Automated Vehicles (CAV’s) and future mobility will bring. For 2 days speakers from across the industry discussed connectivity, sensors, software, safety, legislation, city planning and future mobility models and the technologies to enable TaaS. Contributions came from Nokia, Orange, Intel, Microsoft, AXA Insurance, NVIDIA, IBM, UBER, Ricardo and Jaguar Land Rover amongst many more. And it wasn’t just tomorrow’s world engineers. Sarah Gayton from the National Federation of the Blind of the UK, explained why we must make sure the future of mobility is inclusive. Nathan Marsh, Intelligent Mobility Lead Director agreed, saying that if we do not build inclusivity into TaaS, we will end up with the ‘CAVs and CAVs not’! A packed exhibition hall allowed 30+ sponsors to exhibit their technology to the global industry, ranging from Ridecell and Vulog showing off their car-sharing platform, AVL showing their autonomous demonstrator vehicle and DOVU showcasing their blockchain solution for a unified token, wallet and marketplace for earning and spending mobility related rewards. It was fantastic to see so many new relationships being formed during the networking breaks and the evening dinner and drinks event. The start-up pavilion allowed eight new companies to showcase their solutions for mobility with a 3 minutes ‘Dragons Den’ style pitch on the main stage and they also had a presence in the exhibition to allow them to connect with the industry. Professor Andrew Parkes, Executive Director of Coventry University's Centre for Transport and Mobility and Conference Co-Chair said: "It was a great pleasure to be the inaugural Chair of this very successful conference.The organisation team did a great job in bringing together a far wider group of organisations who will be playing key roles in the future of transportation than has been the case at more technology- focused events. We had presentations and discussions featuring the likes of Microsoft, Nvidia, IBM with input from, among others, the European Investment Bank, new start-ups, special interest groups, local authorities and a broad spectrum of system developers. We took a very deliberate approach to bringing user acceptance and business models to the fore of the discussions and had some fascinating updates on the real enablers for progress; open systems architecture, data management and blockchain security. I really enjoyed the exhibits and they reinforced the continued role of Coventry and the West Midlands at the forefront of Transportation thinking and innovation." "Future mobility technologies and services will benefit us all. However to accelerate progress, a broad range of experts and organisations will need to work more closely together. The TaaS Technology Conference proved to be an excellent forum for bringing the right people together, sharing valuable knowledge, and stimulating new discussions and collaborations." 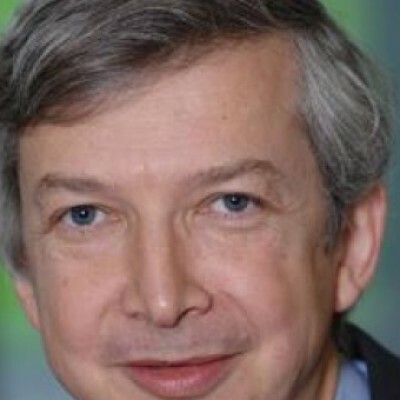 said Paul Jennings, Professor, WMG, University of Warwick and conference program board member. "Well organised friendly and relaxed conference. Great mix of international speakers and topics. Excellent networking and with high level attendees. I look forward to supporting the event next year." commented Richard Harris, Director at Ohmio Automotive, conference program board member, co-chair and ITS Hall of Famer. "It was a great pleasure to attend, speak at and chair the inaugural TaaS Technology Conference on the 9th and 10th of July this year. I was extremely impressed with the knowledge depth of the speakers and the breadth of topics showed just how large and varied the transportation space is becoming. It was also surprising just how many people I knew and knew of attended, which made for a terrific opportunity to catch up. 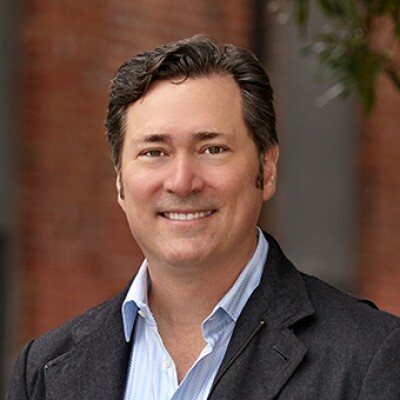 Overall TaaS Technology is a great addition to the future Mobility space, and I would highly recommend attending next year” added James Carter, Principal Consultant at Vision Mobility, a member of the conference program board and conference co-chair. “The doors have barely closed on the 2018 event and the team are already planning the 2019 event and portfolio. The plans included 2 co-located conferences, CAVs and Future Mobility as per 2018 and the addition of a 2nd conference entitled ‘Energising Future Mobility’ which will focus on key topics surrounding EVs, Battery/Energy Tech and Infrastructure. We will add a TaaS Technology Awards program to the proceedings for the 2019 event – we will publish details of our plans later this year.” added Bhadal. Evolution: How might TaaS / CAVs meet mobility and transport options in 3-10 years? We are probably finally past ‘peak hype’ and technology-push on autonomous vehicles and a new realism is setting in. Understanding of systems potential and limitations is maturing and greater focus is given to issues of testing, user acceptance, regulation, infrastructure support and business models. This talk traces some of the developments that led to Coventry being at the centre of transport design and engineering since the days of James Starley and Frederick Simms and looks forward to the role being taken to develop future systems. 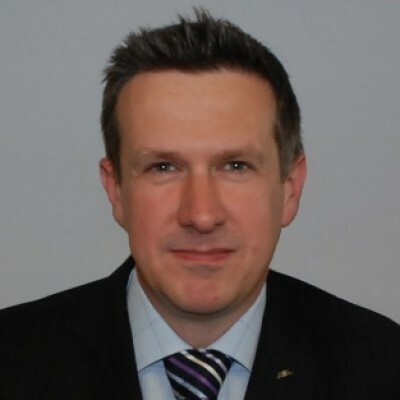 Andrew Parkes is Director of the Institute for Future Transport and Cities at Coventry University. 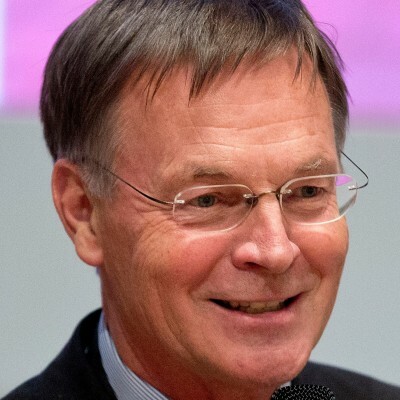 Interests over his career have expanded from accident causation and investigation, through to a much wider view of the efficiency, acceptability and safety of transport systems. The Institute has around 140 research staff and 125 PhD students focussed on using technology and data to develop new systems and services. 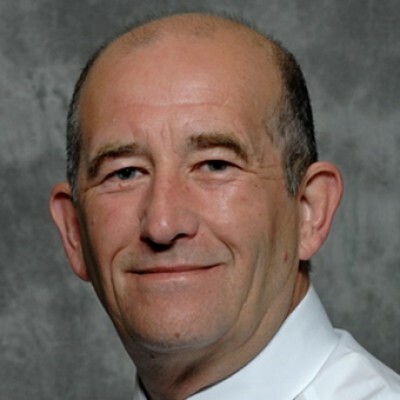 He has published over 230 journal articles, book contributions and sponsored reports in the areas of driver behaviour, performance and the user acceptance of new driver technology. 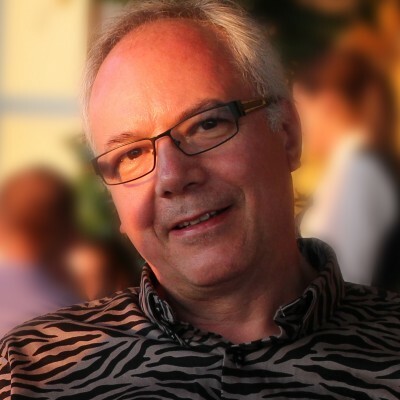 Andrew is an invited speaker and technical organiser at many international conferences, a member of review panels for academic journals and frequent evaluator of research for UK Research Councils and the EU Framework programme. He is a PhD supervisor in areas of situation awareness, vehicle simulation and cognitive ergonomics. A famous quote attributed to Henry Ford is: "If I had asked people what they wanted, they would have said faster horses." In his presentation, Marc Jadoul will explore what's needed to take connected cars beyond 'autonomous horses'. He'll explore the requirements for and the impact of new information and communication technologies like 5G wireless networks, software platforms, and the Internet of Things on road safety, business models and the user experience of drivers and passengers. 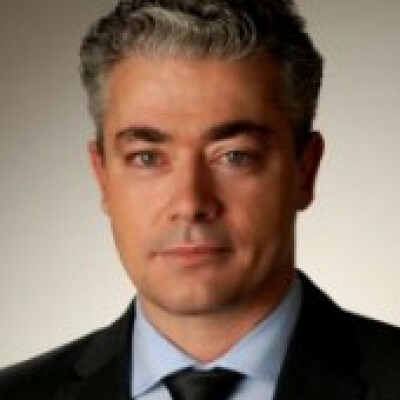 Marc Jadoul is Market Development Director for the Internet of Things at Nokia. 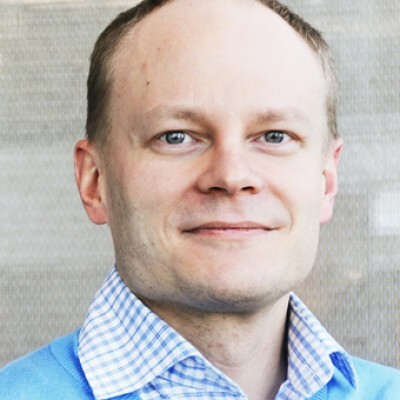 In this role he is evangelizing IoT technologies and applications, and promoting Nokia’s credentials as a key player in this rapidly growing market. With more than two decades of experience in the ICT sector, he has held positions in research & innovation, strategy, marketing and communications, business development, and solutions consulting. Marc holds a Master’s Degree in Computer Science from the University of Brussels. He is a passionate B2B storyteller, blogger, author or co-author of more than 150 papers, magazine articles and conference presentations, and a frequent speaker and panelist at industry events. Over the past years Marc has published white papers, opinion pieces and blog posts, and has delivered conference presentations and public lectures about the Internet of Things and Smart City applications. He speaks Dutch, English and French. 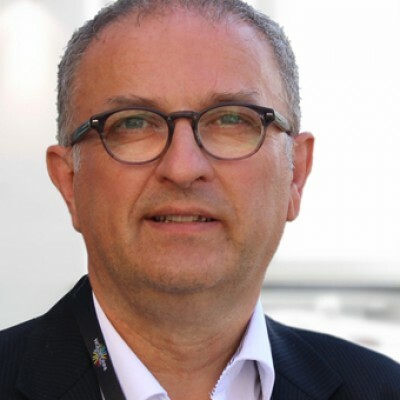 Julien Masson has joined Orange Business Services in February 2017, as Head of Connected Car. 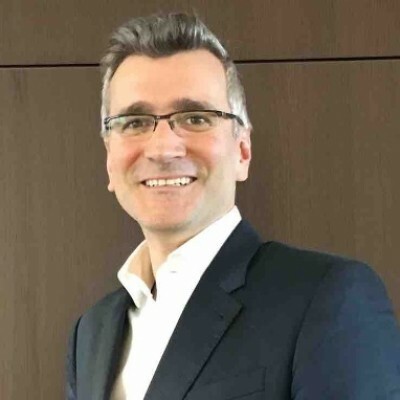 He is leading the development and deployment of Orange's vertical Automotive business strategy for the whole connected vehicle ecosystem. Julien has an extensive experience in Infotainment and Telematics within the Automotive industry acquired over 17 years working in different parts of the connected car value chain: Tier 1 Audio and Navigation suppliers such as Clarion and Parrot Automotive, OEMs such as Nissan where he defined cross-car-line audio, Bluetooth, and navigation strategies in cooperation with Renault, and Telematics Service Provider such as Connexis where he rolled out in mass production voice & data services for BMW Assist. 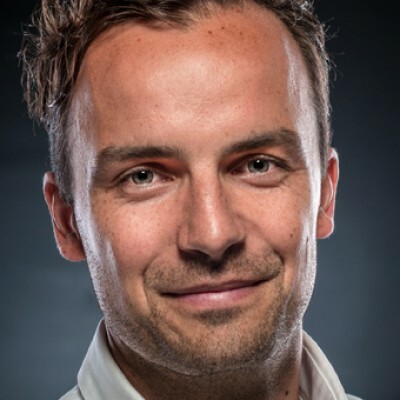 Prior to joining Orange Business Services, Julien led for 5 years the European Business Development and Sales Operations at Parrot Automotive. As the race towards autonomous driving intensifies, TomTom is developing innovative technologies to power autonomous driving vehicles. An example of that is HD Maps, a crucial component in autonomous driving systems. The TomTom HD Map allows automated vehicles to precisely locate themselves on the road, to build a detailed model of the surrounding environment working together with the vehicle sensors, and to plan their path to destination. Combining best-in-class map making, innovative map delivery and a multi-source approach to map observation intake, TomTom is building an end-to-end mapping system that will help make autonomous driving a reality sooner. 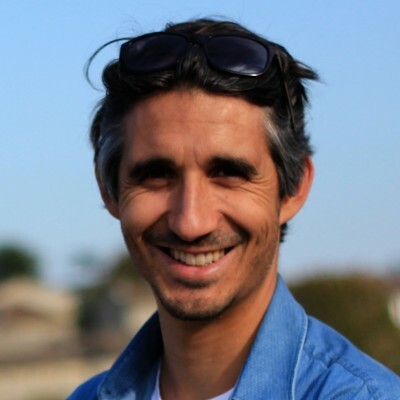 Tomaso Grossi joined TomTom Automotive to focus on product marketing for Autonomous Driving and New Mobility. He has experience in marketing and selling technology products and services in both business-to-business and business-to-consumer settings. 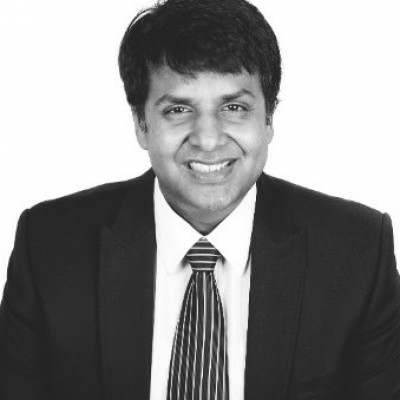 His experience is focused on two business sectors: automotive and cloud technology. The two fields are now starting to converge to bring drivers a safer, always-connected experience, opening up new business models and opportunities. 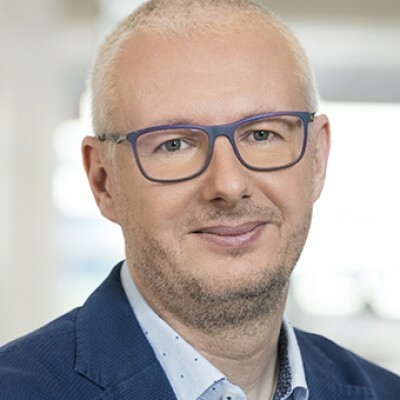 Tomaso is involved in the ​product marketing activities of TomTom Automotive for Autonomous Driving, and New Mobility, and regularly speaks at key industry events on a range of topics including connected car, autonomous driving, and mobility services. 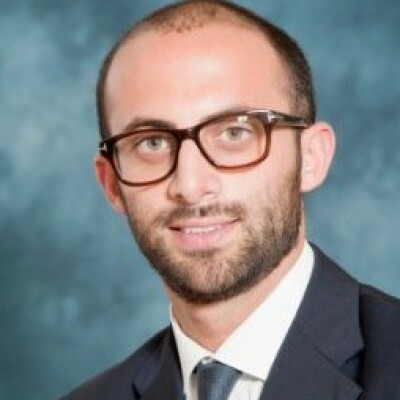 Tomaso graduated from the University of Kent (UK) with a BA in International Business and has an MBA in Management and Marketing from Bentley University (USA). Software: The last obstacle to fully autonomous vehicles? The race to roll out new technology features, mobility services and autonomous vehicles continues to heat up across the tech and automotive industries. In order to compete at the speed of a tech company, many automakers have shifted from traditional development processes to agile, rapid development through open source software. 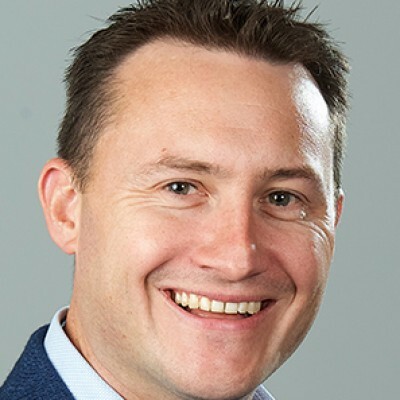 Dan Cauchy, Executive Director of Automotive Grade Linux (AGL) at The Linux Foundation, will provide an overview of AGL, key milestones including the launch of Toyota's AGL-based infotainment system globally, and the project roadmap for the future including vehicle-to-cloud services and functional safety. He will also discuss AGL's vision for an open source platform for autonomous driving that will help accelerate the development of self-driving technology while creating a sustainable ecosystem that can maintain it as it evolves over time. Dan Cauchy has over 22 years of experience spanning the automotive, telecom, networking, and mobile business verticals. Prior to his current position, he was the VP and GM of MontaVista’s Automotive Business Unit (acquired by Mentor). 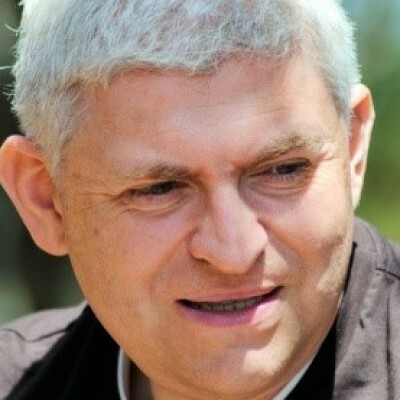 During this period, Cauchy served on the Board of Directors of the GENIVI Alliance and was responsible for the creation of the GENIVI Compliance Program, which he chaired for three years. 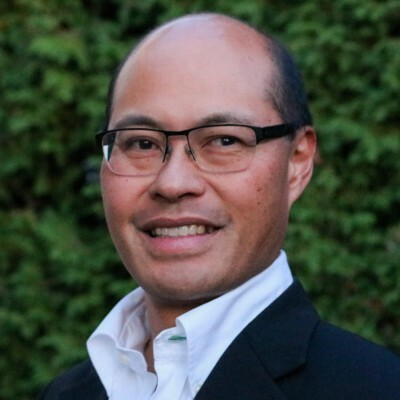 Cauchy has also held senior management and engineering leadership positions at Cisco Systems, Newbridge Networks (acquired by Alcatel) and Nortel, and his startup startup experience includes Atrica (acquired by Nokia-Siemens Networks) and BlueLeaf Networks (now Picarro). Planning: How will CAVs / TaaS affect comprehensive planning for cities/towns? The rise of cloud technology and the ability to ingest and process ever growing set of data offers an enabling platform for cities and privates to build smart mobility solutions on. Whether we take the point of view of a citizen or of a transportation professional, data and information are at the heart of a better ecosystem. From simplifying search and payment for an end user to offer a seamless multimodal experience to offer greater insight for mobility planning or incident response, the approach of Microsoft is to enable an interconnected ecosystem for mobility, where multiple single-point solutions coexist and are integrated to share data on the backed. Many OEMs and technology companies are promising the availability of autonomous vehicles on the roads in the next few years, including the UK government industrial strategy saying that they want them on the road by 2021. These trends present some huge challenges to the engineers tasked with designing, developing and testing of these vehicles to make sure they function safely. Using rFpro and Dymola virtual test environments can be created and have full control of weather, lighting, traffic scenarios and pedestrians. Simulation will also allow us to quickly move from city test scenarios to motorways and to different locations around the world without having to drive between them. This will compress the number of virtual miles we need to test. 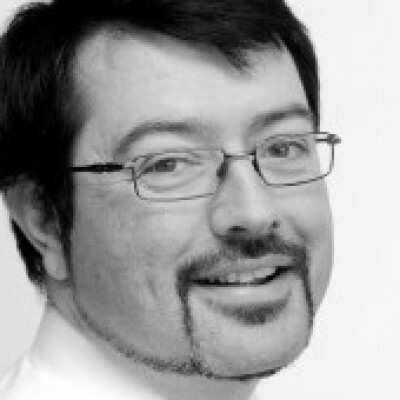 Mike is the Managing Director of Claytex and a technical expert in modelling and simulation using Modelica and FMI. Mike studied Automotive Engineering at Loughborough University and then worked at Ford and Rover on powertrain simulation. After starting Claytex as a consultancy, the company has grown and also become a specialist partner for Dassault Systems, training provider and simulation tool developer. Claytex now works with Formula 1 and NASCAR teams as well as Automotive OEM’s to deliver models and tools covering many different applications helping to create next generation of products. AUTOSAR Classic was released more than ten years ago with the first release which was entirely intended for the embedded architectures of classical ECUs. AUTOSAR by now develops a completely new approach to cope with that challenging environment of internet access in cars in order to make vehicles intelligent and adaptive, which is named AUTOSAR Adaptive Platform. This aims to support dynamic deployment of customer applications in providing an environment that requires high-end computing power and which is connecting deeply embedded and non-AUTOSAR systems in a smooth way while preserving typical features originated in deeply embedded systems like safety. Dr. Thomas Scharnhorst received a MSc in Aero-Astronautics at MIT in Cambridge (USA) and graduated from TU Berlin as Dr.-Ing. in 1979. Being at Volkswagen AG in Wolfsburg from 1980-2008, among others he was general manager for electronic development. Dr Scharnhorst was involved from the very beginning in the founding of the development partnership AUTOSAR. He became spokesperson from 2004-2006 and again for 2017-2018. 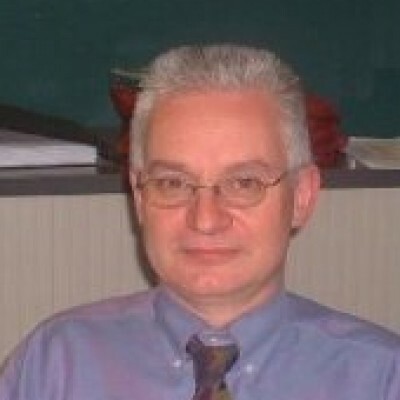 From 2005-2008 he was also managing director of CARMEQ GmbH in Berlin . Thereafter he became Partner of WiTech-Engineering in Braunschweig for management and technology consult. Congestion and pollution in the road network especially in urban areas is increasing. Growth in demand is putting pressure on public transport infrastructure which is becoming less comfortable in peak hours and more expensive to build and operate. Shared mobility concepts offer an interesting potential and big players in the transport industry are gearing up to deliver various MaaS services. Whatever happens MaaS services have to be planned and delivered in collaboration between the transport infrastructure operators (the city and national authorities) and the transport services operators (roads, public transport and MaaS fleet operators). Transport simulation and modelling can help analyse various scenarios and support in building successful and profitable business models for MaaS that also work for the objectives of the transport authorities. Devrim Kara is an experienced transport planner that led the planning and design of urban, regional and national transport projects globally. As the PTV Group Director for UK & Ireland Devrim works closely with the transport industry professionals that use PTV Group software in developing effective, safe and balanced transport solutions. PTV Group’s global position as a thought leading organisation on future mobility gives Devrim a unique opportunity to exchange insights with the transport industry on new innovative transport technologies. This presentation's abstract will be available shortly. 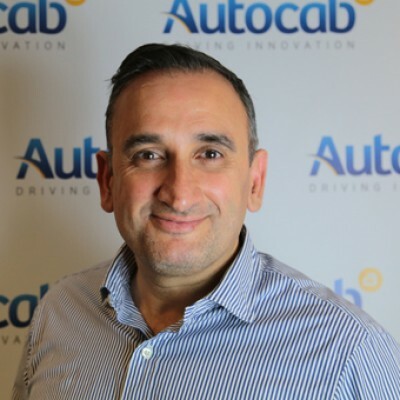 Safa Alkateb was appointed Managing Director of Autocab in 2012 and brings over 23 years’ experience in the communications industry. Prior to Autocab, Safa was the Founder and President of Parallogic Corporation, a multi-core software development company which was acquired by Cavium Networks. He’s passionate about the continued development and successful deployment of software to align the ground transportation industry and the car manufacturing industry. Data: How to process and manage additional terabytes of data in a new mobility ecosystem? New vehicle technologies and business models (Autonomy, Connectivity, Electrification and Sharing) are providing cities and mobility providers with new opportunities to deliver transport services more efficiently and more profitably with lower impacts. Playing these ‘cards’ wisely requires a new generation of collaborative decision support methods - providing an interface between cities and fleets. Our Immense ‘Simulations-as-a-Service’ integrate new data and legacy assets to test the impacts of alternative futures - disruptions and opportunities. In this talk we will share case study examples of how we can empower enhanced decision-making. Robin is the CEO and Lead Technologist at Immense. He has 17 years’ experience working in the Transport industry. Robin started his career at Imperial College London moving from doctoral research through to a Lectureship in Transport and the Environment and establishing the Intelligent Infrastructure and Transport Systems Laboratory. In 2014 Robin made the move to Transport Systems Catapult where he became Lead Technologist for Modelling and Visualisation. From the portfolio of ~£2m of project activities a set of technologies were identified that led to Robin co-founding Immense Simulations in 2016. He has led the company from concept development through to establishing early products in market. Government legislation requires all town streets to be inclusive, which means that everyone, whether young or old, blind, partially sighted or disabled, must be able to walk and access their town and to cross the road safely. Traditional safety and navigational features in streets and roads, such as pavements, kerbs, dropped kerbs, controlled pedestrians crossings and tactile paving, will still be required, to allow disabled people to independently access the urban environments. Technology advances in the autonomous vehicle sector has to be developed with a detailed design knowledge of how the urban environment needs to be inclusively designed for disabled people to unlock the benefits these vehicles can potentially bring to disabled people who currently cannot drive. 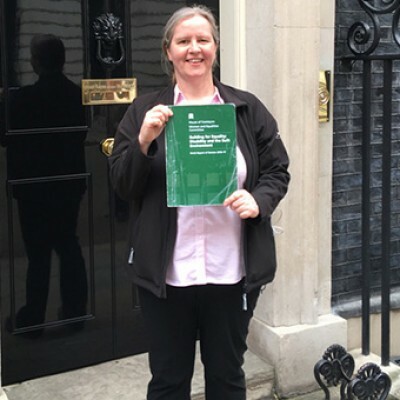 Sarah Gayton is the Shared Space Coordinator for the National Federation of the Blind of the UK, a Disabled Peoples Organisation. Where she is responsible for the charities campaign against shared space roads, to raise awareness of the importance of inclusive environments and to build positive collaborative networks with a wide range of key stakeholders to galvanise a change in culture towards inclusive design for blind, partially sighted and disabled people. 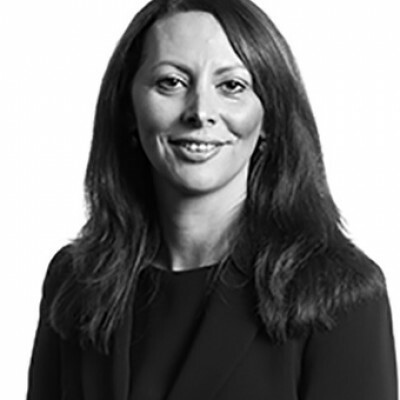 Her previous roles have included working internationally for the United Nations, as well as working for both the public, private and voluntary sector in the UK in the Environmental Protection field and food service industry. Legislation: How can we ensure public safety while maintaining individual responsibility? City and regional authorities of government have a duty of responsibility to their communities. They set and pursue the policy objectives for their community. However disruptive travel services are now offered directly to the public without the authorities being involved. This makes it even more difficult to coordinate and influence travel within their jurisdictions. There is no doubt that effective, inclusive and attractive TaaS provision can contribute to policy objectives and provide clear benefits and outcomes. The city determines and balances the allocation of space for people and vehicles and has control over the levers that can influence transport. To ensure that the benefits of TaaS are realised they need to be involved in TaaS so that they understand what is happening in their city region. Richard is internationally recognized as a leading expert in ITS. 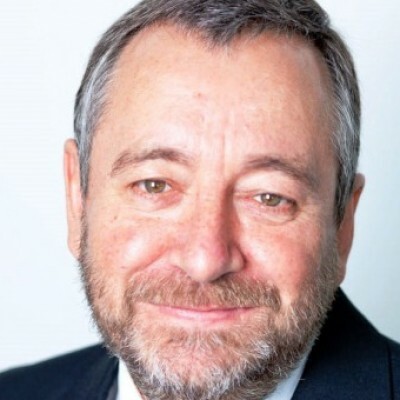 He has over 30 years’ experience, held senior positions in companies (including ICC, AECOM, WSP, Logica and Xerox) and industry associations (including ITS(UK), ERTICO, PIARC, IRF, IBEC, MaaS Alliance….) and been at the forefront of ITS development and deployment. His role at HMI is to develop business in Europe and elsewhere to help exploit the technical game changing company innovations in transportation systems and services. One thing is clear, the number of stakeholders in TaaS is expanding as quickly as the technology is evolving. But local authorities have a need to improve mobility now, but without becoming hostages to legacy systems. This session will explore the practical, pragmatic and real life issues that will either advance or constrain implementation. For many years car-makers, tier1's mobility providers, universities and other organizations have been working on developing driver assistance systems and self-driving cars. Conventional computer vision used for ADAS is reaching its threshold because it is impossible to write code for every possible scenario as a vehicle navigates. In order to develop a truly autonomous car, deep learning and artificial intelligence are required. With deep learning, the vehicle can be trained to have super-human levels of perception, driving safer than anyone on the road. An end-to-end artificial intelligence platform based on supercomputers in the cloud and in the vehicle enables cars to get smarter and smarter. Coupled with an extensive software development kit with vision and AI libraries and software modules, automakers, tier 1s, and start-ups can build scalable systems from ADAS to full autonomy. As Business Development Manager Autonomous Driving at NVIDIA, Tom is responsible for identifying and setting up strategic alliances and partnerships to NVIDIA Automotive in Europe. By enabling partners to work on NVIDIA DRIVE™ PX 2, an open AI car computing platform, they can accelerate production of automated and autonomous vehicles. Prior to joining NVIDIA, Tom has held several positions at TomTom, including working in the UK and South Africa where he was responsible for new business development. In the Automotive unit, he was responsible for bringing together TomTom’s strategy on Autonomous Driving across the product divisions Maps, Software and Services. On top of that, he was one of the Business Development managers responsible for the first steps the company took to bring its revolutionary traffic technology to new markets such as government and enterprise. Tom holds a MSc. in Business Administration from the University of Groningen. The presentation will focus on the need to develop the UK transport data infrastructure to enable new comprehensive mobility services to be offered. 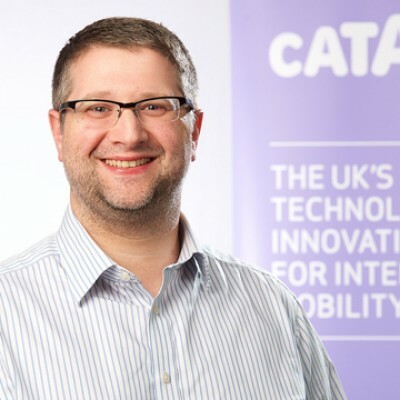 Eifion is currently the programme director for the modelling, visualisation and data capabilities at the Transport Systems Catapult in the UK. He leads a team of technologists building capabilities to enable the emerging intelligent mobility market. Eifion has spent 17 years working in the Intelligent Transport industry both in the UK and Australia. Eifion has played a leadership role on several significant projects including the design and implementation of the Olympic Route Network for London 2012, design and implementation of the Highways England Regional Control Centres and the TfL Structures and Tunnels Investment Programme. The data demands for smart city and automotive applications are extreme and so the need for processing engines that sit at the heart of next-generation smart infrastructure is rising rapidly. It’ll be this ability to visualise and draw insight from extreme-scale data, that will elevate the way the mobility ecosystem operates and scales. Founder and CTO of GeoSpock – an extreme-scale, data integration company that provides analytics, builds insight, and enables predictions across space and time – Dr. Steve Marsh will explore the increasing data demands of autonomous fleets in future smart cities. Using GeoSpock’s Location Intelligence as a Service (LlaaS) Product Showcase as an example, Dr. Marsh will demonstrate how data visualisation at speed and scale can help to provide traffic management solutions, real-time congestion management, and proactive scheduling of traffic flow to meet changing transport demands of future smart cities. This talk will discuss the need for new approaches to ensure that connected and autonomous vehicles are dependable i.e. they are safe, secure, robust and reliable, and ultimately trusted by the public. It will consider a testing continuum from the digital world with modelling and simulation through to real-world public trials and early deployment. In particular it will focus on the vision for, and design of, WMG's "3xD Simulator for Intelligent Vehicles", an ESPRC funded facility providing an immersive, simulated environment for connected and autonomous vehicles, and the development of the new Meridian real-world test environment being led by WMG in the West Midlands. Paul Jennings is a physicist who has been with WMG for over 25 years working on research with industrial and academic partners. He has built groups in Intelligent Vehicles, Energy Storage and Management, and Experiential Engineering through significant research and capital funding. He currently leads a team of 6 academics, over 25 researchers and engineers, and over 40 doctoral students. 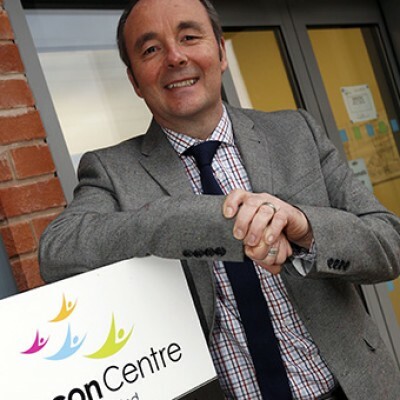 He has published over 100 academic papers and has been Principal Investigator on over 30 research grants, from sources including EPSRC, Innovate UK and the EU. 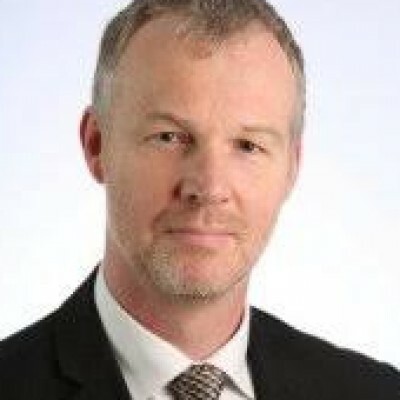 Since 2014 Paul has led WMG's multidisciplinary Intelligent Vehicles research activity, which draws in capability from across the department including Complex Electrical Systems, Communications, Experiential Engineering, Cyber Security, Modelling and Simulation, Visualisation and Business and Operations. Paul is the lead academic for the '3xD Simulator for Intelligent Vehicles', a £3.2m facility funded by EPSRC which is the world's first immersive, simulated environment for smart and connected vehicles which includes emulation of wireless communications and the ability to drive in any vehicle. Current related research projects which Paul leads for WMG include INTACT, UKCITE, RACeD and VVIL. With car industry is going through the most radical change in its history, not only in terms of new energy sources and drive trains but in how we use and treat cars. Closer personalisation of the vehicles we use but at the same time looser ties to vehicle ownership is causing major disruption to the industry. The use of Blockchain and higher focus on protecting the computer systems in and around vehicles not only makes this possible but will be essential to ensure the high levels of trust needed can be delivered to make these new paradigms a reality. Gavin will briefly discuss these topics and what IBM is doing to support the industry grow in such a highly competitive environment. 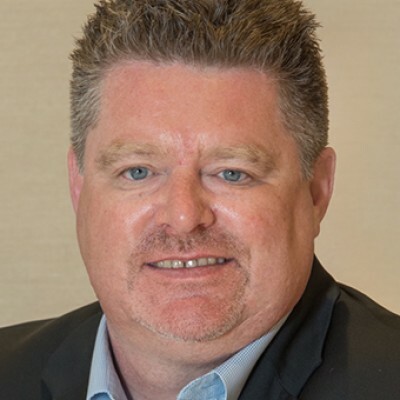 Gavin Kenny is an Associate Partner with IBM’s Security Business Unit, he has worked in IT Security, in various roles, for the last 22 years. 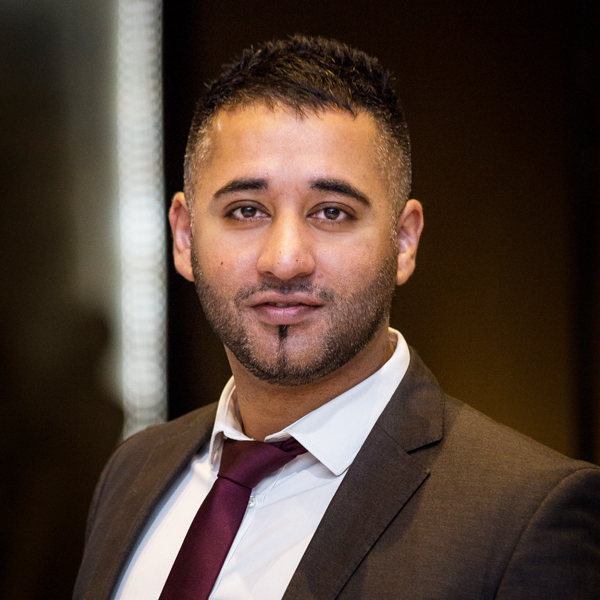 He has considerable experience within both the Public & Private sectors in all aspects of IT Security covering people, processes and technological mitigation of risk in both traditional and Cloud environments. Gavin is passionate about Security as an enabler and encourages businesses to consider Security from a User Centric point of view, where well thought out security strategies act to enhance and enable businesses to deliver a better experience for their staff and customers. 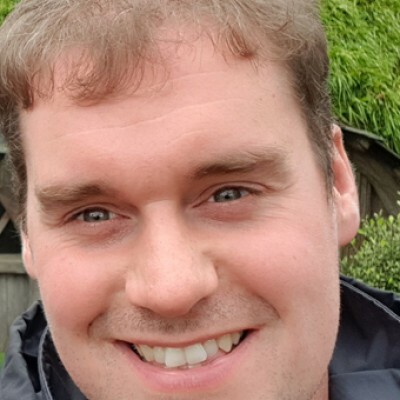 As a keen technologist and with a degree in satellite engineering, Gavin is always keen to work in cutting edge fields to ensure security is considered from the outset, as well as supporting Public Sector and Health teams he is also working with the IBM’s Connected Car, IOT and Cognitive Computing research teams. Consumers want simplicity in their lives, but the challenge is, connectivity often brings vulnerabilities that hackers will exploit. The challenge for car manufacturers (OEMs) and tier 1 suppliers then becomes how to provide the benefits that consumers expect in a safe and secure way. In addition, as cars become autonomous at different levels, the OEM’s business model will shift from personally-owned vehicles to a fleet model. Implementing secure mobility-as-a-service and transportation-as-a-service business models will not be a nice to have. It will become essential to maintain a competitive edge. As a result, protecting business data and securely enforcing policies assigned to the vehicle is crucial to allow business owners to deliver customizable experiences to their customers. Car manufacturers must balance safety while implementing a convenient, flexible and customizable driving experience for consumers operating today’s connected vehicles. Dr. Clifford Liem is the Research Director of the Special Projects Group in the Connected Transport Market Unit of Cloakware, Irdeto. 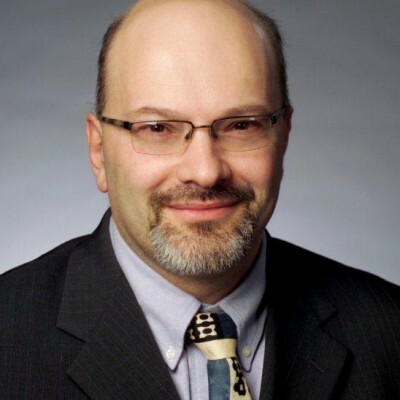 He leads next generation security architectures and products, as well as security assurance for connected cars. Previously, he was the VP of Engineering at Graphite Software, leading efforts in Android domain isolation and kernel-based security. He has held various positions at both large companies and start-ups in Product Management and Engineering in security technology, compiler development, kernel development, and chip synthesis. Cliff received the 'Prix de These' for his Ph.D. from INP Grenoble, earned a M. Eng. from Carleton University, and received the Governor General's award for his B.Sc. from St.F.X. University. He has over 30 publications including a book on Retargetable Compilers, and over a dozen patent publications. ISO 26262 functional safety standard is marching toward 2nd edition and ISO 21448 (Safety of the Intended Functionality, or SOTIF), is taking off. The presentation will describe the status of those standards and how they apply to TaaS, from both HW, SW and system view. Different safety architectures will be compared, including the ones based on off the shelf components, together with their cost-safety-performance tradeoffs. Riccardo Mariani is widely recognized as an expert in functional safety and integrated circuit reliability. In his current role as chief functional safety technologist at Intel Corporation, he oversees strategies and technologies for IoT applications that require functional safety, high reliability and performance, such as autonomous driving, transportation and industrial systems. Mariani spent the bulk of his career as CTO of Yogitech, an industry leader in functional safety technologies. 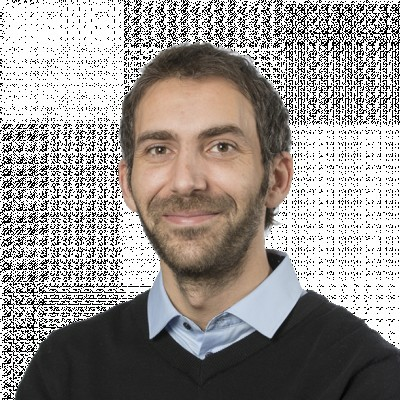 Before co-founding the Italian company in 2000, he was technical director at Aurelia Microelettronica, where his responsibilities included leading high-reliability topics in projects with CERN in Geneva. A prolific author and respected inventor in the functional safety field, Mariani has contributed to multiple industry standards efforts throughout his career, including leading the ISO 26262-11 part specific to semiconductors. He has also won the SGS-Thomson Award and the Enrico Denoth Award for his engineering achievements. He holds a bachelor’s degree in electronic engineering and a Ph.D. in microelectronics from the University of Pisa in Italy. Myths and Reality of the Global Marketplace and what this means for our customers. We will also discuss the challenges facing the sensing systems if we are to address the realities that our customers face across the world. Finally we will look at some of the exciting work going on in JLR Research to make All-terrain Autonomy a reality. Nigel Clarke has worked in Research at Jaguar Cars and then JLR since 1989 when he joined to work on the PROMETHEUS project. Within the PROMETHEUS project he led the Collision Avoidance activities and was a member of its Technical Committee. In 1994 his team demonstrated an autonomous Jaguar driving up the M40 motorway with the then Business Secretary Michael Heseltine at the wheel. After PROMETHEUS he managed several EU Framework projects and was involved in the early days of ADAS - the launch of ACC and Blind spot monitoring. Following a spell researching off-road capability features he has now returned to run the JLR Research Level 5 sensing research. Manufacturing: How might auto makers/suppliers fare in a CAV / TaaS future? Born in Italy in 1978, Yuki Liu has been in the business consulting industry since 2005 with a focus on design & architecture and automotive projects as Managing Director at Italchina, an international company that assists Italian enterprises in China market entry and growth strategy, research, analysis and advisory with top clients like Cagiva Group (Cagiva, Ducati, Moto Morini, Husqvarna, Mini Moke) and Giugiaro Design. 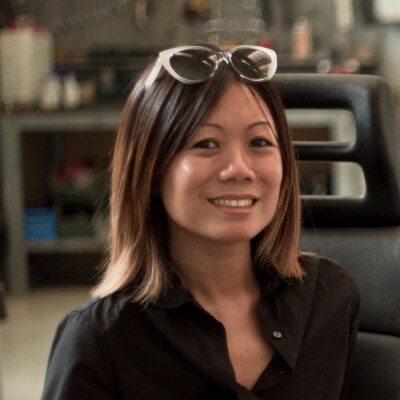 Since 2013 Yuki is co-founder and fully committed COO at Open Motors (formerly OSVehicle), a YCombinator backed (W16) B2B company that provides ready-to-use hardware platforms and modular self-driving vehicles in white-label that enable companies to produce complete electric vehicles in half the time and ⅙ the cost. Media defined Open Motors as the “IKEA car”, “Arduino for Vehicles”, “Android for Electric Vehicles”. Open Motors is also featured on Wired, TechCrunch, Bloomberg, Financial Times, Nikkei The Huffington Post, TopGear, The Guardian, France Televisions, Maker Faire, Next Berlin, TEDx, Roland Garros, SVIEF and more. TaaS and CAVs - Breaking the paradigm of "my-car, my-trip, my-space"
Over the next 3-10 years, we will still have 90% of the transport infrastructure that we currently have (roads, bridges, car parks). Therefore, in order to support increased demand for mobility, we need to fully realise the benefits of TaaS and CAVs. To do this, the traditional paradigm of my-car, my-trip, my-space will have to change. Just as the traditional car ownership model has built slowly towards the current state, and is already beginning to change, our perception of a car as a private space will also change. Over the past decades, urbanisation, congestion and, more recently the much-vaunted sharing economy, have all contributed to the change in this accepted model, with the likes of GoGet, ZipCar. The social and technological landscape is changing, the scene is set for a big change. The opportunities that TaaS and CAV can bring to a transport ecosystem will no doubt have a significant positive impact on the built and social landscape of our lives. But to maximise this benefit, we need to break this my-car, my-trip, my-space paradigm. The nascent transport models of technology driven on-demand buses, on-demand carpooling and trip sharing is already making inroads into this shift. Through incentivising, rewarding, gamification and simplicity of experience, we are seeing the beginnings of a groundswell of behaviour change. Currently, offering up the latent capacity in your car to service demand for mobility is a personal choice, you have to opt-in, which requires an effort on the part of the driver (albeit small) to input trips. CAVs, which by definition, will respond to a structured trip request demand (time and destination) can allow sharing of on-demand mobility to be the default model (opt-out). TaaS, will take this a step further, making cross platform, capacity and route optimisation on-the-fly the default model. Opting-out will become the norm rather than opting-in. Trystan Eeles is COO and co-founder of Liftango, a shared mobility technology business, who is leveraging all the experience, good (and bad) habits gained through 10 years as a management consultant in the transport industry. We need to transform our transport system, to be more efficient, safe, inclusive and sustainable, to serve better the needs of travellers. Technology is already fundamentally changing transport, as we know it, enabling new mobility solutions and services. There are a number of public and private EU funding and financing instruments available that support the development and deployment of innovative EU-wide transport initiatives, within and across transport modes. It can be however challenging for innovators to make the leap from one stage of development to another. EU-budget also needs to be used strategically, to maximise its leverage effect. The high level of investment needed to materialise the mobility of the future will require new ways of financing and an increase in private capital contribution. The content of this session is to discuss approaches and possibilities in funding and financing innovative transport projects and which new concrete measures will be needed to ensure a sustainable transition to the mobility of tomorrow. A shared vision between stakeholders is key for the successful deployment of any future mobility system and therefore increased cooperation of all stakeholders, old and new, is essential. We need to transform our transport system, to be more efficient, safe, inclusive and sustainable, to serve better the needs of travellers. Technology is already fundamentally changing transport, as we know it, enabling new mobility solutions and services. There are a number of public and private EU funding and financing instruments available that support the development and deployment of innovative EU-wide transport initiatives, within and across transport modes. It can be however challenging for innovators to make the leap from one stage of development to another. EU-budget also needs to be used strategically, to maximise its leverage effect. The high level of investment needed to materialise the mobility of the future will require new ways of financing and an increase in private capital contribution. The content of this session is to discuss approaches and possibilities in funding and financing innovative transport projects and which new concrete measures will be needed to ensure a sustainable transition to the mobility of tomorrow. A shared vision between stakeholders is key for the successful deployment of any future mobility system and therefore increased cooperation of all stakeholders, old and new, is essential. 1. In your experience, what are the key success factors that enable companies to deploy and scale up their service in European and world-wide markets? 2. What are the types of financial mechanism and support that are or would accelerate the deployment of new solutions & services in Transport? 3. How could EU/EIB funding initiatives further support this development and deployment process? To imagine the mobility solutions of the future is to focus on the importance of considering mobility as part of an overall system. The journey will merge with other aspects of an individual's life causing blurring of lines around action and mode of transport (i.e. working while in an autonomous vehicle). Therefore, the design, consideration and business value associated with mobility has to be linked with other parts of the business in order to fully extract optimum pricing models and user requirements. What is clear is that 'Mobility' is bound by the emerging markets of Connected, Autonomous, Electric and Shared vehicles and reflects the need to consider new business models for both the supplier and user alike. What is clear is that we are on the cusp of great change. What this change means and how we can take advantage of it for personal and societal needs is one that we must address in the short term and set up the ground rules for deployment of new technologies. From improved social integration, access to mobility and job creation, the potential must be balanced against the need for security, safety and trust in the information and the service that is being provided. The real beauty of Mobility as a Service is that it is the end-user who decides. Everyone in the transport system should then have the same ultimate goal: to fulfil the mobility needs of users. The transport system and services should not be planned based on an 'either/or' basis but instead provide the most suitable option based on the passenger's needs. By combining various transport services we can provide attractive mobility options also for those whose needs haven't been fulfilled by traditional public transit services. Integration and co-creation are the key words. Piia holds a Master of Science in Economics from the University of Joensuu and she speaks Finnish, English and basic French. Piia Karjalainen joined ERTICO’s Clean & Urban Mobility team in June 2017 and she is currently Senior Manager for Mobility as a Service. Her expertise lies within mobility as a service; transport, climate and energy policy; strategic planning; clean mobility; project management and public procurement. 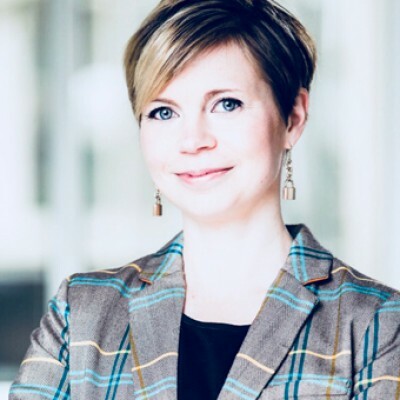 Before joining ERTICO, she has worked for the European Parliament and the Finnish Ministry of Transport & Communications. How will digitalization change the automotive industry and the landscape of our cities? The automobile has been a major force in shaping cities as we know them. With the advent of new mobility services, compounded by sharing economy, digitalization is going to shape cities in as significant ways as the automobile once did. For the automotive industry, the changing attitudes towards the economics of car ownership and environment, this brings up new threats and opportunities. This session discusses the societal and OEM change needs and opportunities for building better quality of life for city dwellers, as well as new business. Sami Pippuri is a digital product expert, with over 15 years of experience in creating mobile services. After completing his MSc in software engineering, Sami has held development leadership positions at Sonera, Nokia, Microsoft, SSH as well as high-tech startups. As CTO of MaaS Global, Sami is building the world’s first Mobility-as-a-Service operator, the Whim service, along with a roaming ecosystem that is giving users delightful everyday mobility without the hassle or cost of car ownership, at a predictable price, across geographies. As momentum builds in the industry’s progression towards full autonomy, a combination of market forces are poised to determine the pace of adoption, many of which operate at a regional level. As such, regional disparities are beginning to emerge in the wake of varied legalisation, governmental support and testing programs. Join IHS Markit in accessing the short-term impact that autonomous technology and a move towards transportation-as-a-service will have on the automotive supply chain. 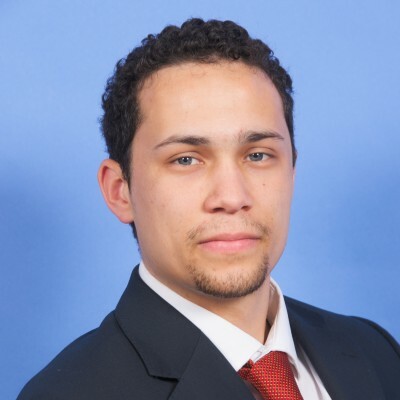 Aaron Dale is a Senior Analyst within the automotive group at IHS Markit, Aaron has a focus on autonomous driving and advanced driver assistance systems. His responsibilities include research, writing and analysis of active safety and autonomous vehicles globally. Within this role Aaron also closely monitors the impact of mobility services on the automotive sector. To date the focus of Connected Autonomous Vehicles (CAVs) has tended to centre on providing drivers and passengers with a better, safer and more enjoyable driving experience, however Highways and transport industry are beginning to realise that CAVs will transform the way in which they function. Amey, as a leading service delivery organisation for multiple local and strategic highways clients, believes this transformation will result in a new revolutionary approach to Highways network management. Highways managers will not only have access to new data from CAVs to manage their networks more effectively, they will also need to consider how future roads will need to be designed and built with CAVs in mind. This presents an exciting opportunity for the highways industry, resulting in a paradigm shift in road management as we know it. 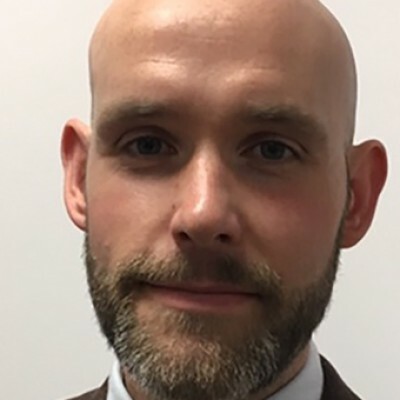 Technologist and Transport specialist with 8+ years in transport focused innovation, David has worked for several local authorities, including Buckinghamshire, Essex and Hertfordshire in various transport related roles. His experience and knowledge spans several areas including asset management, emerging transport technologies, data analytics and service transformation. 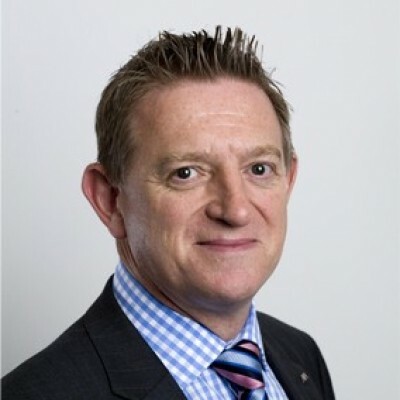 He is a specialist in the application of Connected Autonomous Vehicles from a infrastructure design and build perspective, having delivered or been involved in several Innovate UK projects including People in Autonomous Vehicles in Urban Environments (PAVE), Connected Autonomous Sensing Service Delivery Vehicle (CASS-DV) and UK Central CAV test bed. The session will cover the government backed consortia, look at the ongoing government consultation and how it may impact the regulatory timetable, and the wider implications of European restrictions / opportunities. Data will be a key area going forward and we will look at the issues in that regard, together with the wider work carried out by Thatcham and the ABI ADIG (Autonomous Driving Group). It will also look at the potential impact on insurance risks and products in a future of connected and autonomous vehicles, and speculate as to how quickly we will see these vehicles on UK roads. There will be a brief overview of the implications for the commercial vehicle space (it's not just cars!) and particularly the UK haulage industry. 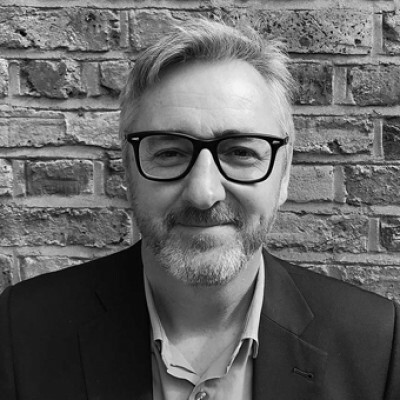 David has over 30 years’ experience in General Insurance, roles including Chief Commercial Underwriter at one of AXA’s largest branches, Reinsurance Manager, Casualty Insurance Manager, before moving to claims in 2003. After leading AXA’s Personal & Commercial Claims Teams, David returned to Underwriting as Managing Director, Underwriting, and now has a broader role reporting in to CEO Brendan McCafferty, as part of the newly recombined AXA general insurance businesses in the UK. 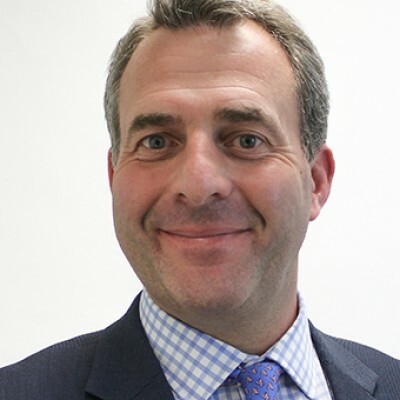 As well as operating at an Executive level within AXA Insurance, David is a Non Executive Director of AXA Assistance UK, Vice President of the CII and Chair of the CII Underwriting Faculty. 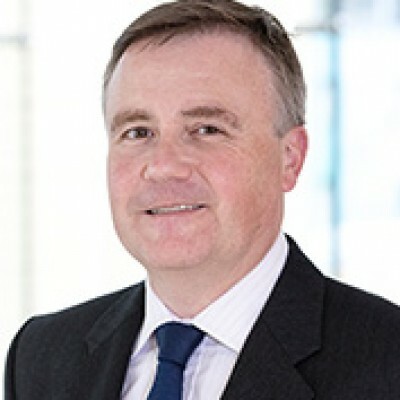 He is Chair of the recently formed Autonomous Driving Insurance Group and RISCAuthority, was previously a member of the National Stakeholder Council for the Governments ‘Workplace Health Connect’ initiative during its currency, and was a Director of Thatcham, the Insurance Industry Motor Vehicle Research Institute for four years. Connected and autonomous vehicles are rapidly becoming a technological, social and economic reality. They will change the way we travel and the way we think about transport. Whilst the technology is undoubtedly fundamental, it is critical that the legal environment evolves to reflect the emerging challenges presented by the development of CAVs in an appropriate and timely way. Law must be an enabler of change and the Government’s initiation of a three year review by the Law Commission recognises this. Drawing on its experience through involvement in four Innovate UK funded CAV projects – VENTURER, FLOURISH, Capri and Robopilot – Burges Salmon will explore the lessons learned so far in terms the development of legal and regulatory frameworks to support the successful deployment of CAVs in key areas such as insurance, liability, data and cyber security. In doing so, Burges Salmon will demonstrate how legal reform will enable the development and deployment of market-ready CAVs. Chris Jackson is the head of Burges Salmon’s nationally-leading transport sector practice. He has over 20 years’ of experience in the transport sector and is recognised as a UK leading lawyer in the sector. 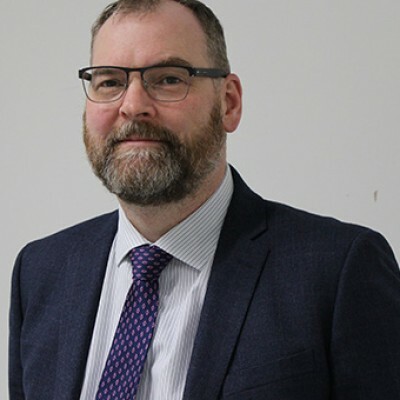 He has received national recognition in transport, procurement and health and safety and is closely involved in policy, strategic and operational work, helping develop the firm’s strong specialist practices in each of those areas. 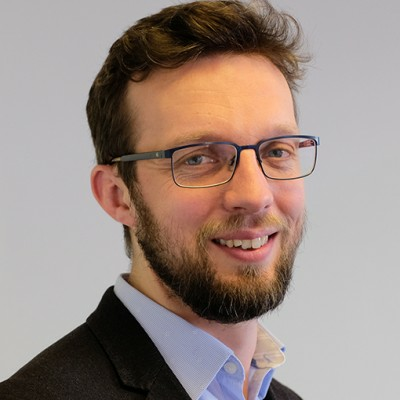 Chris is closely involved in new highways and vehicle technologies and the legal solutions for Connected and Autonomous Vehicles (including driverless cars) and leads Burges Salmons’ multi-disciplined transport technology and intelligent mobility team. The team is at the forefront of the sector and is actively involved in a number of Innovate UK funded CAV projects developing thought leadership and pushing the regulatory agenda as an enabler of new technologies. Having evolved the way that cities around the world utilise cars with their popular apps, Uber is now focusing on how they can bring that magic to other transportation modes. Recent announcements surrounding the integration of electric bikes, VTOL, car rental, air travel and public transportation ticketing into the service position Uber as a significant multi-modal operator. Kieran Harte joined Uber in 2015 as GM for Ireland and now manages cities across Scotland, Wales, Ireland and regions of England. 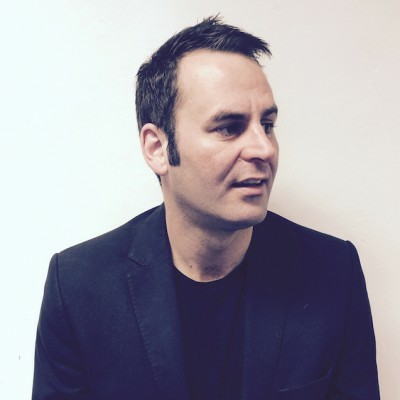 Previously, Kieran has worked across the globe with digital companies focusing on media, classifieds and commerce. Are dealers done for? Exploring the new retail environment in new mobility. The Automotive industry is on the edge of a massive transformation. Not a day goes by where there's more news about Self Driving Cars, yet there has been very little discussion about the effects on automotive retail and retail at large, even though the potential for disruption is huge. As technology coalesces around the "CASE" vehicle platform (Connected, Autonomous, Shared, Electric), these significantly impact each major revenue stream of a dealer's operations - Sales, Parts and Service. Taxi-bots move sales to fleets, AVs and ADAS features reduce accidents and therefore parts sales; and EVs reduce maintenance by 50%. As well, large sums that have been invested in facilities may no longer be suitable in a New Retail environment. However, for dealers and retailers with foresight and openness to change, there are ways to navigate the "Retail Mobility" path and exploit the huge opportunities that this revolution will bring. 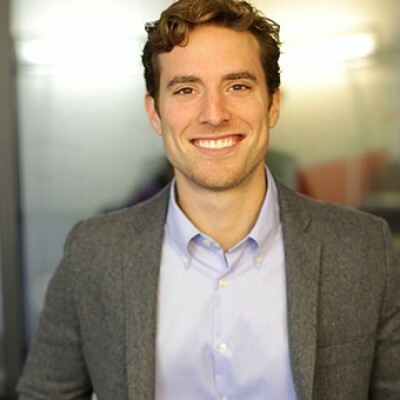 James Carter is Principal Consultant of Vision Mobility, a Toronto based consultancy that specializes in helping Startups, Government, Industry Associations and established companies better understand New Mobility and how to pivot towards new opportunities. James has over 20 years automotive experience, including 19 years with Toyota in Australia, Japan and North America. Learn how to quickly launch and scale a new mobility service to achieve maximum profitability. Learn how vehicle utilization in new mobility services drives profitability and which techniques to use to achieve the highest utilization rates. Learn what's required to launch a new mobility service offering, including end-to-end workflow, dispatch, scheduling, balancing supply, demand, CRM and payments. 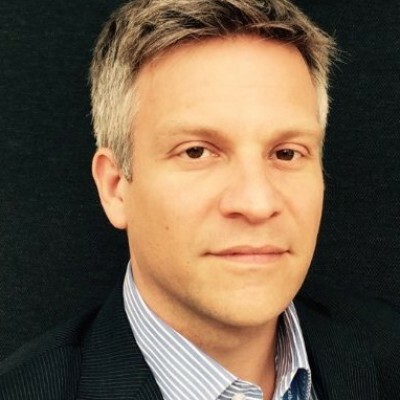 Mark Thomas is the VP of Marketing at Ridecell and is responsible for marketing Ridecell, the world’s leading platform to launch, operate and scale new car and ride sharing mobility services. 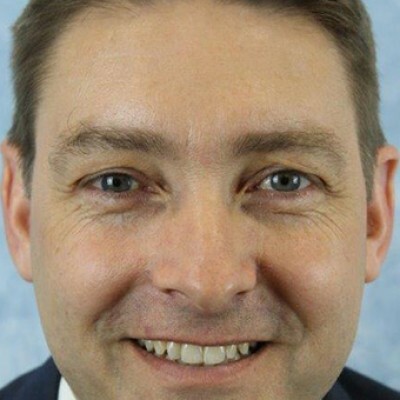 Prior to joining Ridecell, Thomas headed the connected car marketing team at Cisco Jasper, where he developed the product and go-to-market strategies for automotive OEMs. Prior to Cisco, Mark led product marketing at HERE, a leading automotive maps company. 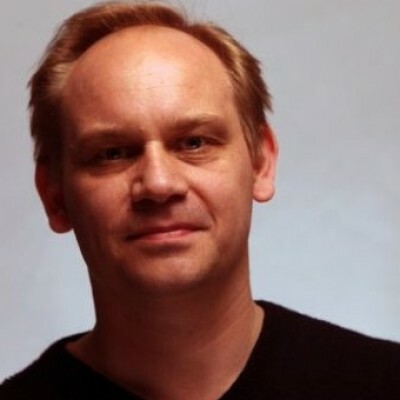 In addition, Mark served in marketing, strategy, and business development roles at Apple and Nokia. Mark holds a B.A. from University of California, Berkeley, and an M.B.A. from the University of Pennsylvania Wharton School of Business. This panel session will consider the ethical issues around future connected and autonomous vehicle deployments, particularly around considerations for safety, user engagement, operations, insurance, legal and standards. We hear a great deal about ‘The Future’ of TaaS and CAV, but the reality is that the future is here now, at least on a small scale. In the race to gather market and usage data, large consortiums are forming and the opportunities for independent parties are reducing. Global Brands threaten to monopolise fledgling markets. The market for automobiles and the existing value chain will continue to grow, but new products and customers may be required for existing manufacturers and suppliers to remain competitive. Opportunities for new offerings and revenue streams can be leveraged to offset those in decline. We present key technological and market considerations to prepare for the benefits, challenges and interactions of TaaS and CAV. These include practical insights and metrics gained from Pilot market and customer usage trial projects. Mike is a Technology Strategy and Product Development expert specializing in Clean Technologies, Transportation and New Mobility solutions. He has over 10 years’ experience of advanced vehicle technology R&D, including scalable / modular vehicle architectures, light and heavy duty engines, electric propulsion systems and control software development & calibration. 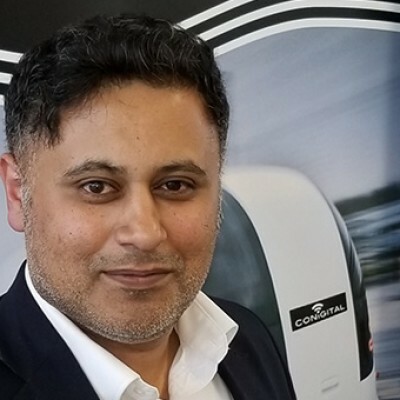 He primarily operates within the Global Automotive, Rail and Energy sectors with developing focus and insight in Connected, Autonomous and Shared Transportation. Mike has a Master’s degree in Mechanical Engineering from Imperial College, London. He is a Chartered Engineer and Eur. Ing. Accredited within Europe. Blockchain technology will allow the transfer of value between different actors that were previously separated in isolated ecosystem, transforming mobility into a unique, fluid service. Smart Contracts will unlock new and personalised business models to reward users for positively impacting the future of their cities. 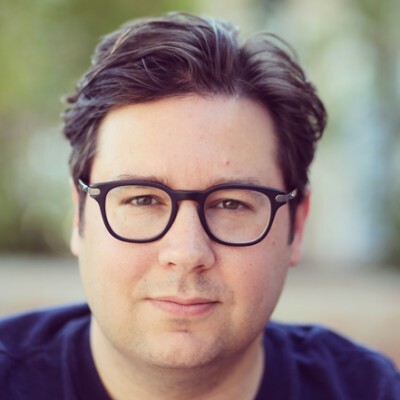 Irfon Watkins is Founder and CEO of DOVU. DOVU is bringing blockchain benefits to the mobility space to reward data sharing, creating a circular economy. A serial entrepreneur, Irfon has founded and sold companies across the data spectrum. 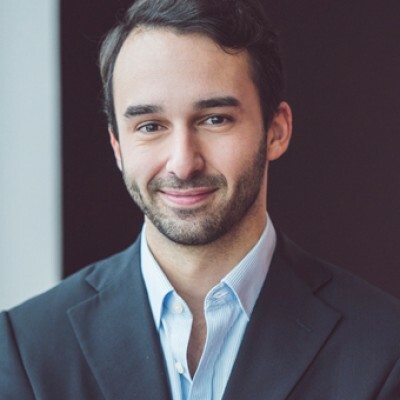 Before founding DOVU he was founder and CEO of Coull, a programmatic video advertising company processing over 15 billion requests a month from over 118 countries. With over 20 years experience as an executive, Irfon has a strong background in starting and growing businesses at global scale. Names can be deceptive, acronyms even worse! Whilst the ITS (UK) title may give the impression of an industry group rooted in 'legacy' technology, we very much pride ourselves on helping our members to be aware of and understand the wider issues related to transport and how technology plays a part in addressing those. With a plethora of new solutions being banded around to replace 'sliced bread' as the next best thing and a fast paced industry with more players than ever before, our role is more arguably becoming more important (and challenging). This is what we see and postulate. Having spent over 15 years working as a consultant for WSP supporting clients with a wide variety of challenges in the UK and abroad, Ian is fanatical about making travel more accessible, integrated and ultimately efficient. He’s a scientist by education, traveller by curiosity and a motorcyclist by genetics. Taking on the role of Hon Sec for ITS (UK)’s CVIG group was a straightforward choice and provided him with the opportunity to not only better understand the future of transport, but also help to shape it and assist others in making the journey to tomorrow’s vision for mobility. The presentation will explore some of the key legal issues which are presented by CAVs. In particular the session will consider what are the main obstacles to the widespread use of CAVs what are the key risks for those developing, testing and commercialising CAV technology. The presentation will also analyse the efforts which are underway in the UK and elsewhere to put in place regulatory frameworks which can keep up with the rapid develop of CAVs. 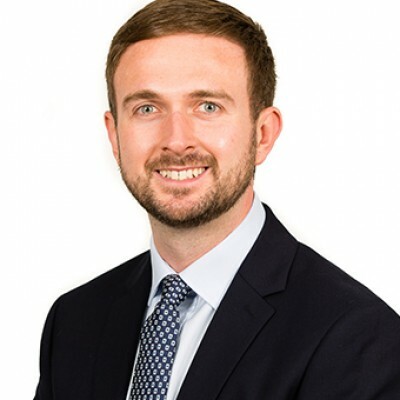 Ben is a commercial lawyer who regularly supports clients in the automotive and technology sectors and has extensive experience in advising OEMs, the supply chain and market disputors on a wide range of legal and commercial matters. Ben has supported start-ups to FTSE listed businesses on strategic collaborations and long term cross border agreements for the supply of goods and services. 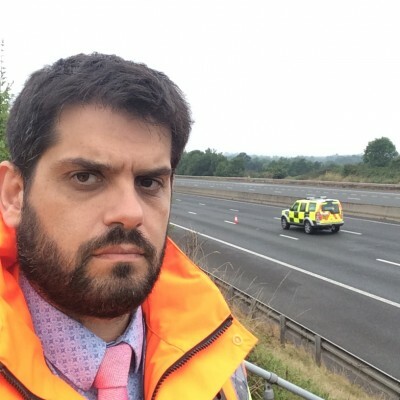 Ben regularly speaks at events and in the media on the legal issues relating to the development, testing and future commercialisation of connected and autonomous vehicles. Analyst Vehicle Autonomation. Is this the solution to car sharing? Vehicle Autonomation. Is this the solution to car sharing? In recent years a number of car sharing platforms have emerged that are potentially threatening vehicle manufacturers traditional business model. However, in many cases the profitability of such new schemes is yet to be proven, especially due to required infrastructure requirements. One potential way forward is to fully automate those vehicles in order to reduce some of the costs constraints. The author will explore some of the benefits but also the remaining challenges when automating car sharing solutions, if a widescale deployment was to be considered. He will also contrast car sharing with the traditional vehicle ownership model. 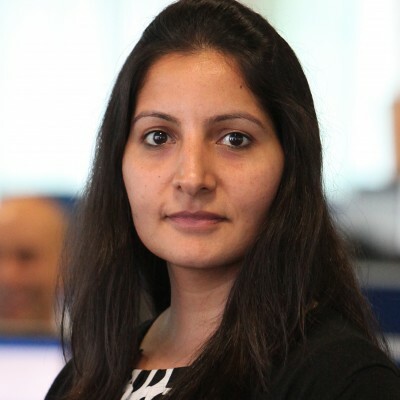 Deepa joined SBD in 2010 as an analyst supporting research for Connected and Autonomous divisions. Since early 2013, she has been leading research within the Autonomous Car, currently managing report productions, overseeing ADAS UX benchmarking, as well as supporting many consultancy projects advising clients on global ADAS strategies. Whilst the common consensus is that the ongoing mobility disruption will converge into some form of shared autonomy, the question of who will get there and how is far from defined. Despite this uncertainty, the case for traditional players to diversify with a shared mobility service is more apparent than ever. Existing stakeholders who launch new mobility services are not only positioning themselves well for the autonomous disruption but are also diversifying with profitable and scalable models. As a business developer at Vulog, Michael focuses on both supporting existing operators with their efforts to scale and on developing new collaborative opportunities in the market. Michael manages relationships with operators across three continents and works with OEMs, energy companies, car distributors and more in aiding their new mobility strategy. He previously held a similar development role at Deezer, a leading global audio streaming service based in Paris. Prior to entering the tech sphere, Michael worked as a chartered accountant in Deloitte's Banking and Capital Markets practice in London. Michael holds a BA from Washington University in St. Louis and a Masters in Accountancy from DePaul’s Kellstadt School of Business in Chicago. He lives in Paris. I will explain how blockchain technology works and why it is an obvious enabler for Transportation-as-a-Service. Without a common open framework on which to build value, TaaS will be mired in a series of competing offerings and siloed services. Blockchain technology offers the potential to enable us to participate in a marketplace for TaaS services that is highly secure and trustworthy. I am the Automotive Lead for Iconic Blockchain which is developing the TSio Protocol. The TSio protocol provides a common means of exchange for everyone participating in TaaS, from customers to transport operators and payment providers. 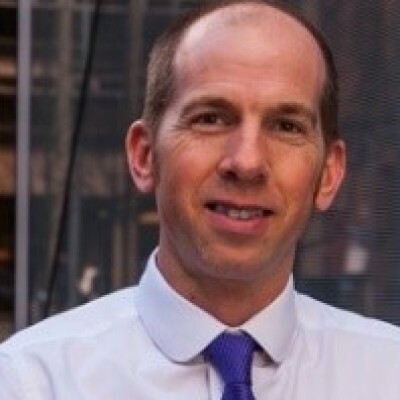 Sir Nic Cary, Bt FRSA is an expert in data-driven services for transport. He is the founding director of Waysphere, which helps transport organisations to locate, curate and extract greater value from their data. 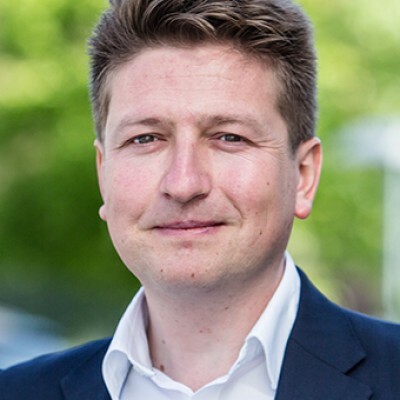 He is also chair of the Travelspirit Foundation’s UK board and is the Head of Automotive at Iconic Blockchain which is developing the TSio Protocol, built on Blockchain, to provide open mobility applications. Before founding Waysphere, Nic was Head of Digital Transformation and Transport Data at the UK’s Department for Transport. Here he led a programme to exploit the value of local transport data and improve data sharing. He also engaged with a number of foreign governments on data sharing policy and digital transformation opportunities. 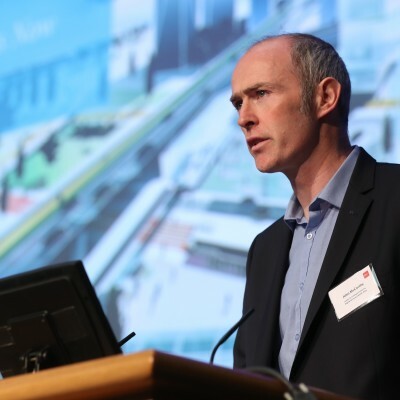 He is a member of various professional bodies and a frequent public speaker on the role of data in future transport. Prior to Transport Nic worked for the Cabinet Office, where he undertook various strategic programme management roles. An experienced technologist, he founded his own internet consultancy in 1995 and has since undertaken a wide variety of technology roles. Before that he had a successful career in marketing communications. 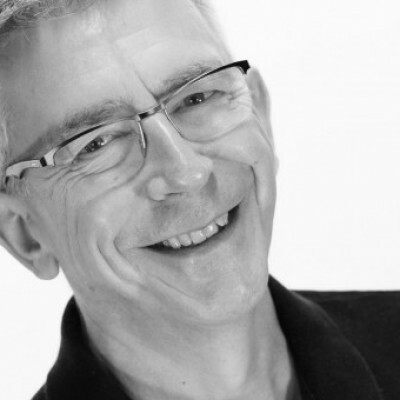 Nic Cary is Chair of the UK Regional Board for TravelSpirit Foundation. The TravelSpirit Foundation was established in Manchester, UK, in 2016 to provide an open framework to ensure that new integrated mobility services are universally accessible. To successfully achieve our ambitious aims for the emerging mobility sphere – within the UK and across the globe – we set out to build a global network of transport operators, software developers, businesses, policy makers, planners and activists across the mobility and technology sectors. Nic Cary is also Automotive Lead for Iconic Blockchain. Iconic Blockchain is enabling businesses and governments to have greater visibility of movement and the supply chain. We can help partners provide seamless, integrated and efficient movement of people and goods. Iconic will deliver the new TSio Protocol blockchain and several high value client solutions that will show-case the functionality of this new unified transport system on integrated ticketing, smart parking and shipping container management. HMI: How will usability and the human machine interface (HMI) impact CAV design? 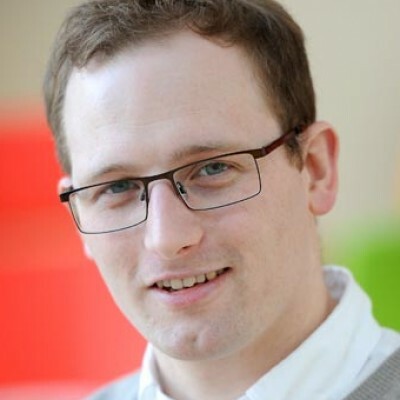 Dr Cyriel Diels is a senior lecturer in transport Human Factors in the Centre for Mobility and Transport at Coventry University. He has been a researcher in the field of human factors for over 10 years, with work focussing on driver behaviour, user experience, and interface design. An area of particular interest is the perception of comfort in a future of automated and shared vehicles and the design of vehicle interiors and user interactions. Prior to joining Coventry University he was a human factors specialist at Jaguar Land Rover (JLR) and worked as a research scientist at TRL (Transport Research Laboratory). Deliver a seamless in-car experience network which connects digital buyers and sellers within the mobility services industry such as fuelling, parking, etc. and creating new opportunities. Bring parking services, gas stations and other mobility services to the Internet and you can drive more business your way by making it easy for drivers to discover, acquire, and pay for your services from their dashboards or mobile devices. Digitize mobility services with SAP Vehicles Network (SVN), the cloud based Internet of Things (IoT) solution, powered by SAP Leonardo. SAP Vehicles Network (SVN) designed to help mobility services firms take advantage of the SAP Cloud Platform, smart devices and Big Data technologies. SAP Connected Parking offers parking providers a digital backbone to consolidate parking space availability across multiple locations, reserve parking spaces, publish real-time status of parking space and improve use, visibility and efficiency. Testbeds are the facilities used to develop the technologies for intelligent mobility. The UK has world class testing facilities, including proving grounds and virtual environments. The UK is positioning itself as a global leader in real world testing, backed by Government and Industry investment. This panel session will discuss some of the pain points the UK testbeds have encountered whilst setting up their facilities. This panel session is a must-attend for all those developing CAV and Future Mobility technologies. The panel session will also prove very valuable for the global community, especially if you are looking to implement real world testing facilities or if you are looking to test your technology using the UK facilities. If you are interested in getting involved as a speaker or sponsor/exhibitor at the 2019 event, please get in touch with info@taas.technology or call +44(0)24 7671 8970. TaaS Technology is produced by Angel Business Communications - a leading B2B technical events organiser, within the CAV, EV, TaaS, sensors, compound semiconductor, photonics, silicon semiconductor, data centre and storage networking industries for over 35 years.